Includes a removable ball marker with custom full color imprint. Available in 17 brilliant handle color combinations. 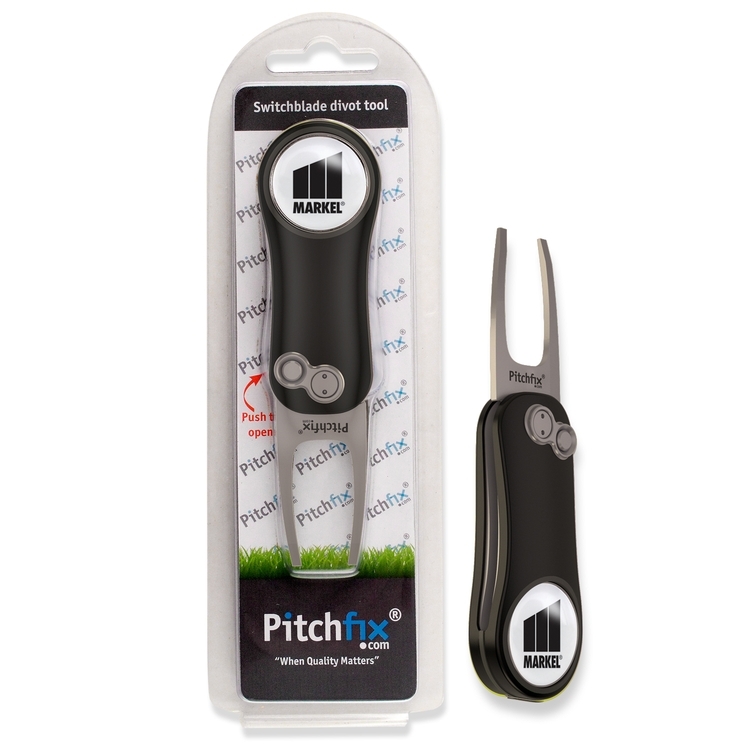 The best-selling Pitchfix Hybrid Golf Divot Repair Tool just got an upgrade to the Hybrid 2.0. * Available in 17 brilliant handle color combinations. * Includes a removable ball marker with custom full color imprint. * Includes retail-style clam shell blister packaging. Imprint area for ball marker: 1"